United for Action | Volunteers influencing policy by mobilizing the public, to promote public health and sustainability. Plastic bags kill. When plastic bags get loose in our communities, they strangle wildlife, are ingested by fish and other animals, and break down into microplastics that pollute waterways and food sources, causing illness and death. These bags are made from fossil fuel and are not biodegradable. Today is the day to make our voices heard to the New York State Assembly Speaker Carl Heastie and our state assembly members. For the first time ever, it sounds like there’s a chance that Speaker Carl Heastie might support an effective bag law policy that includes a fee component. We need to convince him this week to add a Ban/Fee Hybrid (ban on thin plastic and fee for all other carryout bags) to the budget. The fee component is important to change consumer behavior. Long Island’s Suffolk County enacted a ban/fee hybrid law and it decreased the number of bags used there by 80% in one year. In Suffolk County alone, 1.1 billion plastic bags were cut out of the waste stream. Speaker Heastie needs to hear from us. Very loudly. Your call will make all the difference. These issues are being hammered out right now as part of the state budget process, in the final days of negotiation before the bills are due on April 1. New York City Council member Brad Lander introduced a bill Intro 135 that will ban the sale of certain expanded polystyrene, commonly called Styrofoam, containers. Styrofoam is made from polystyrene, a petroleum-based plastic created from Styrene, a toxic chemical which is a hazard to our health and our environment. Styrofoam easily breaks into small bits which end up in our landfills, sewerage systems, our waterways and our oceans. Small land and marine animals eating these pieces die due to toxins and blockage of their stomachs and may also end up in our food chain. There are compostable alternatives to Styrofoam containers that the food service establishments can use. New York City Commissioner of Sanitation Kathryn Garcia, stated in a report that Styrofoam containers cannot be recycled in a manner that is economically feasible or environmentally effective for New York City. You can click on Intro 135 to see which city council members are sponsors of this bill. If your city council member is not a sponsor of this bill, please call and email your council member and tell your council member that you are a constituent and that you want your council member to sign on to sponsor Intro 135. Please click here to find your council member. By clicking on your council member’s name and then his/her website, you will find the phone numbers and email for your council member. In addition to calling and emailing your council member, please call and email Speaker Corey Johnson of the New York City Council at District Office 212-564-7757 or Legislative Office 212-788-6979 and tell the Speaker that you want him to support Intro 135 and bring this bill to a vote and pass it in the city council. New York State Senators Liz Krueger and Brad Hoylman introduced bill S7760 Carryout Bag Waste Reduction which would ban plastic carryout bags and place a ten-cent fee on all other carryout bags, to encourage the use of reusable alternatives. Revenue raised by the fee would go to the State Environmental Protection Fund. The same bill A9953 is sponsored in the Assembly by Assembly Member Steve Englebright. Since Governor Cuomo and the New York State legislature killed New York City’s carryout bag bill last year, New York City residents sent more than 9 billion plastic bags, or 91,000 tons of plastic solid waste, to landfills. The only way for New York City to reduce our plastic bag usage is to pass the statewide bill S7760/A9953. Other U.S. cities that enacted similar laws cut plastic bag use by 60% to 90%. Please call your New York State Senator, click here to find your New York State Senator, and tell your Senator that you are a constituent and you want your Senator to add their name and sponsor S7760 the Carryout Bag Waste Reduction bill. Please call your New York State Assembly Member, click here to find your Assembly Member, and tell your Assembly member that you are a constituent and you want your Assembly member to add their name and sponsor A9953 the Carryout Bag Waste Reduction bill. Please call Governor Cuomo at 518-474-8390 and remind him to keep his promise for a New York statewide solution by making sure that S7760/A9953 the Carryout Bag Waste Reduction bill become the law for New York State. Without waiting until these bills are passed and enacted into laws for New York City and New York State, you can help reduce plastic waste and pollution immediately by bringing your own non-plastic reusable bags for shopping and a non-plastic reusable water bottle. Stop using plastic straws and plastic utensils for takeout food. Everything you do will help. We really appreciate it. Thank you. If you are interested in joining United for Action to march as a group, you are welcome to meet up with some of us for breakfast at the Park Plaza Diner located at 220 Cadman Plaza W, Brooklyn, NY 11201 at 10:00 am on Saturday 10/28/17. Please email us if that is what you would like to do. If you wish to march with United for Action but do not wish to join us for breakfast, please meet us at the Park Plaza Diner at 10:50 am on Saturday 10/28/17. Or, please just come and join your fellow New Yorkers and march for a better future. It is going to be a long day. Please feel free to participate in all or part of the day’s activities as your circumstances permit. Please remember to bring water and snacks. Dress appropriately for the weather and wear comfortable walking shoes. Remember to bring your own banners and signs and bring your family and friends. Did you know that the Hudson River is the nation’s largest Superfund site, running for almost 200 miles from Hudson Falls, NY to Manhattan, because of General Electric? Between 1947 and 1977, General Electric (GE) dumped an estimated 1.3 million pounds of polychlorinated biphenyls (PCBs) into the Hudson River. The source of the PCB discharges was two GE capacitor manufacturing plants located in Fort Edward and Hudson Falls, New York, about 50 miles north of Albany. These toxins have accumulated in the land, sediment, water, fish, wildlife and people all along the river, turning the Hudson into the largest Superfund site in America—stretching 200 miles to New York Harbor. After six years of dredging, now EPA has allowed GE to dismantle its on-river operation, abandoning the remaining toxic river sediments that federal, state and local agencies warn could set back economic and environmental recovery for decades. The cleanup is already years behind schedule with two to three times as many PCBs remain in the river than expected. The Hudson River Superfund cleanup has not done the job it was meant to do—secure the health of the river, its wildlife and the people living along it. PCB contamination in the river remains a significant threat to public health and prosperity as it has for nearly 80 years. Yet EPA claims it needs another eight years of data to understand if it is working. In short, EPA is declaring success before it has the science to back it up. New York and New Yorkers will bear the burden of GE’s PCB contamination for the foreseeable future due to inaction by the EPA unless we act now to fight for change. Please submit your comments to EPA’s proposed Second Five-Year Review Report for the Hudson River PCBs Superfund Site by Friday September 1, 2017. We must urge EPA to officially say in its report that the cleanup and the remedy are not protective and more work is needed to be done by GE to ensure a healthy Hudson River. Please click here for Riverkeeper Sample Letter. Or, please click here for Scenic Hudson Sample Letter. Or, by email to Gary Klawinski at klawinski.gary@epa.gov. Please go to Riverkeeper website, or, Scenic Hudson website for more talking points. On May 12th the New York City Council Committee on Sanitation and Solid Waste Management held a hearing on Int 1480. This is an industry-backed bill that would classify EPS foam (expanded polystyrene “EPS”), commonly referred to as Styrofoam as “recyclable”. The Department of Sanitation looked into recycling these foam food containers and found that they could not be recycled in an environmentally effective or economically feasible manner. EPS is brought to us from the oil well through a chemical process. It does not decompose. 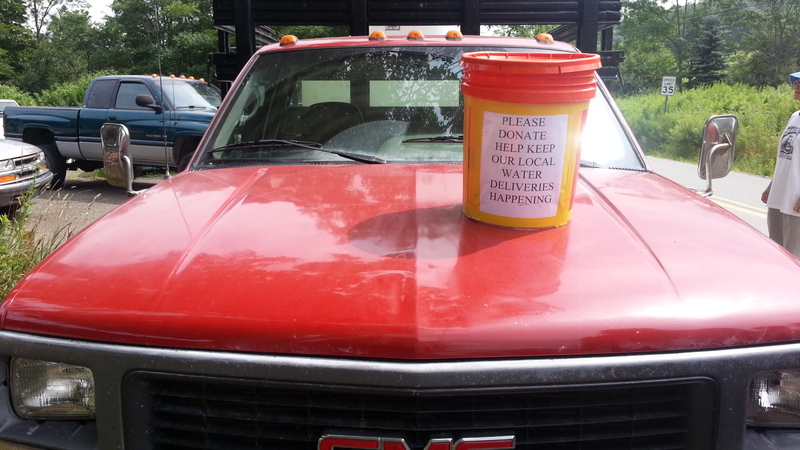 The City Council already banned EPS foam containers in 2013 and was sued (with funding from the American Chemistry Council and Dart) to prevent the City’s ban from taking effect. Int 1480 is the industry’s latest attempt to prevent the City from moving forward with a ban on EPS foam. Dart and the industry have been spending a lot of money to lobby for this bill and were well represented at the city council hearing. Despite strong appearance at the hearing by the environmental groups and Department of Sanitation Commissioner Garcia’s unequivocal testimony in opposition to the bill, we understand that the industry has come back with a revised and even more slippery version, Int 1480-A. However, I cannot locate this version on the city council website at the time of writing this email. We have to do our best to make sure this Int 1480 does not pass. Instead, we need to advocate that City Council passes Int 1596 a legislation to ban EPS foam introduced by Council Member Brad Lander on May 10, 2017. As of today there are already 22 city council members sponsoring Int 1480. It takes a simple majority of 26 votes to pass the bill in the city council. You can click here to see if your council member is a sponsor of the bill. ▪ Please pick up the phone and call your city council member. You may click here tofind your city council member. Please urge him/her not to sponsor and vote “no” on Int 1480 and urge your city council member to move forward with a ban on EPS foam containers by sponsoring Int 1596. Even if your city council member already sponsored the bill Int 1480, you can still express your opinion and ask your city council member to withdraw his/her sponsorship of the bill. ▪ Please call Speaker Melissa Mark-Viverito at 212-788-7210 and urge the Speaker to oppose Int 1480 and move forward with the ban on EPS foam with Int 1596. The Speaker decides which bill maybe moved forward in the city council. To date, almost one hundred cities in the U.S., including Washington, D.C., have adopted EPS food container bans. For a good overview of the issue, check out this Huffington Post piece by Jennie Romer. Here’s the link to the recently released report by New York City Department of Sanitation stating again that EPS foam cannot be recycled in a manner that is economically feasible or environmentally effective for New York City. Please make the calls. They are important. Thank you. We appreciate very much all that you do. Celebration of Earth Day in New York City April 22, 2017 at Foley Square to express opposition to Trump’s calling climate change a hoax. Subways: 4, 5, 6 train to City Hall, Brooklyn Bridge then walk 1 block north on Centre Street. 2, 3 train to Park Place then walk east through City Hall Park and 2 blocks north on Centre Street. A, C train to Chambers Street then walk 3 blocks east to Centre Street and 1 block north on Centre Street. reduce the environmental regulations that protect our air and water and to increase our reliance on coal, oil and gas. To protect all living things on our planet, we must transition as quickly as possible from fossil fuels and nuclear to a new, green economy based on renewable energy. More than 20 million participated in the first Earth Day on April 22, 1970 which facilitated the 1970 Clean Air Act, the 1972 Clean Water Act, and the formation of the EPA in 1970. Earth Day is now commemorated annually by a billion people throughout the world. “Earth Restoration,” performance piece by Catherine Skopic with representatives from environmental organizations. Please click here for the Facebook Event. Please help us spread the word and share it with your friends and lists and ask everyone to come and join us at the Earth Day rally. Please bring your climate signs and banners. Today Governor Cuomo signed the moratorium bill S4158/A4883 which over turned New York City’s carryout bag fee bill. Governor Cuomo’s decision to approve this bill is deeply disappointing. This means that New York City council cannot move forward with a new bill involving bag fees until at least one year from now on January 1, 2018 and such a bill would not be able to be implemented until 270 days after adoption. Hence, New York City will continue to haul 91,000 tons of disposable plastic bags, about 10 billion, a year and send them to landfills with a cost of $12.5 million. Hundreds of cities, states, and countries have enacted laws charging a fee on carryout bags, with dramatic reduction in plastic bag waste. It is sad that New York City will not be allowed to join them. Killing New York City’s law which was supposed to take effect on February 15, 2017 with only vague promises about doing something on the state level in the future is a cop out. Albany’s interference with New York City’s right to home rule and making laws to benefit the residents and the environment of New York City is very troubling. Cities are often the laboratory for good environmental and other progressive public policy. New York City’s carryout bag fee bill took 3 + years of negotiations, advocacy, debates, public hearings and was democratically voted pass the city council. New York City’s bill should have been given a chance to work. Instead of looking out for the interest of the people, our New York State legislature and Governor sided with the corporate special interest groups. Thank you to everyone who called, emailed and/or wrote letters to your State Senator, State Assembly Member and Governor Cuomo. We wish to thank our State Senators and State Assembly Members who voted against the moratorium bill S4158/A4883. We also wish to thank our City Council members who advocated and voted to pass the New York City carryout bag fee bill. Today’s decision is a setback for the environment. But going forward, by working together, we will continue to push for sensible legislation, at all levels of our government. Even though we may not have the carryout bag law on New York City’s books, we sincerely hope people become aware of the problem of plastic waste and pollution and start bringing our own reusable bags whenever and wherever we go shopping. Instead of moving forward with a preemption bill, the New York State Senate (S4158) and Assembly (A4883) voted this week to put a moratorium on bag fees for cities over 1 million in population until January 2018. This bill will only impact New York City’s law and will not affect other municipalities in New York State that have passed similar bag fee laws. This bill would stop NYC’s bill from going into effect on February 15th. At the end of one year, NYC would have to pass its bill again. Given that NYC’s bill took 3+ years to pass and the City Council has elections this November, the NYS moratorium bill has the same effect as the preemption bill. Now the moratorium bill has been delivered to Governor Andrew Cuomo, he has 10 days to veto. However, given the fact that the NYC law is due to go into effect on February 15th, Governor Cuomo may not take the full 10 days. The next few days are really critical. Please pick up the phone and call Governor Cuomo at 518-474-8390 and urge him to veto the moratorium bill S4158/A4883. Suggested script: Hello, my name is ______ and my address is ________. I am calling to let Governor Cuomo know that I oppose S4158/A4883. This bill will prevent NYC’s disposable bag reduction law from going into effect next week. The NYC bag bill is the result of over three years of advocacy efforts and negotiation. I urge the Governor to protect the city’s right to enact local environmental laws and veto S4158/A 4883. I’m looking for the governor to be a national leader. NYC passed a bag bill, and industry lobbying should not preempt it. Thank you. Your call is really important. It takes only a few minutes to make the call. Please make sure Governor Cuomo hears from you. NYC bag law requires certain retailers to collect a fee of five cents for each carryout bag, plastic or paper, with some exceptions. New Yorkers use about 10 billion plastic disposable bags each year costing the city $12.5 million to haul 91,000 tons of plastic bags. These bags are made from finite fossil fuel resources such as oil and natural gas. Most end up in landfills, trees, sewerage systems, our oceans and other waterways. When the plastics break down, they do not biodegrade. The toxins contained in them are being found in marine animals and thus in our food supply. They are decimating the aquatic ecosystem. Other cities in the country that enacted similar laws cut plastic bag use by 60% to 90%. Once this law takes effect, we hope to see a dramatic reduction in our city’s use of plastic bags. The fee is not a tax. The city government does not collect any part of the fees. No one has to pay 5 cents if they bring their own reusable bag. Some politicians’ claim that the bag fee hurts the poor is disingenuous. There are exemptions for people on food assistance, and there are many ways that consumers can get reusable bags. The bill will actually help low-income communities, since they bear the brunt of the adverse health effects from the emissions of thousands of truck trips going through their neighborhoods to truck bag waste to landfills. With all of President Trump’s rollback of initiatives to deal with the existential threat of climate change, cities and states need to take the lead in protecting the environment and reducing harmful emissions. We look to our elected officials in the cities and states to put people and the planet above corporate profits and special interests. The U.S. Coast Guard is considering establishing 10 new anchorage grounds, or “parking lots”, for commercial vessels in the Hudson River from Yonkers, NY, to Kingston, NY at the request of industry. Please click here for a New York Times article reporting on this. The Coast Guard is soliciting and accepting comments from the public. The U.S. Coast Guard has extended the public comment period from September 7 to December 6, 2016 following requests of many regional politicians, citizens groups, and environmental organizations. These anchorages could permanently affect the Hudson as we know it. Even though the industry claims the proposal is for navigation safety, it is really about shipping oil. Starting in 2012, the Hudson became a shipping corridor for about 25 percent of the crude oil coming from North Dakota Bakken Shale. In addition, the Global oil terminal in Albany is fighting to gain permission to heat heavy “tar sands” crude for transport down the Hudson. An accidental crude oil spill or tar sands oil spill in the Hudson River can never be recovered or cleaned up. Two endangered species, shortnose and Atlantic sturgeon, live in the Hudson could be impacted. The river bottom could be scarred by anchors and anchor chains. Communities along the river would experience noise and light pollution. Please click here to Submit Comments to Coast Guard by 12/6/16. Please include in your comment requests for a comprehensive environmental impact statement and public hearings on any proposals. Please click here, here and here on the Riverkeeper website for more information and suggestions for comments. Congratulations! Because of all your hard work Int 446-A is now law in New York City. A bill signing ceremony was held in City Hall on August 31, 2016. Mayor Bill de Blasio signed four groups of bills that day. Our bill Int 446-A was in the fourth group which is about 52:00 minutes into the video. Congratulations everyone for your efforts to make sure this will not happen on the roads in New York City. Even though Governor Cuomo banned high volume horizontal hydraulic fracturing in New York State, there are still many active vertical drilling wells in upstate New York producing radioactive, toxic fracking waste which could be used for de-icing and other road applications. In addition, New York State Department of Environmental Conservation continues to permit fracking waste to come across the borders from Pennsylvania into our landfills. After more than two and half years of endeavor to have the NYC Council write and pass a bill to ban oil and gas waste, the amended bill Int 446-A is expected to be voted on and to pass in the city council this coming Tuesday 8/16/16. At last count we have 33 sponsors for the bill and now the Speaker of the city council is on board. The amended bill incorporated many of the changes recommended by us during the hearing held on the bill in February of this year. Since there are no federal and New York State laws regulating the disposal of fracking waste, the passage of Int 446-A will ensure toxic and radioactive fracking waste is never accepted in New York City wastewater treatment plant or landfill, or used on our roads thus protecting all those who live, work or visit New York City from being exposed to the harmful effects of toxic, radioactive, carcinogenic fracking waste that could contaminate our air and water. This will also send a strong message to our state and federal governments to follow the example of New York City to protect the public health of our people. The 2016 Democratic National Convention is less than one week away. On the eve of the convention, when the nation’s spotlight will shine on Philadelphia, we will gather in Philadelphia to march for a Clean Energy Revolution. We are already experiencing the effects of Climate Change with destructive flooding in West Virginia, devastating wild fires in California, deadly heat wave in India and Pakistan. Climate Change poses an existential threat to humans and all life forms on earth. We need to make sure our elected officials know the fierce urgency to tackle Climate Change now and not kick the can down the road. We need a massive turn out to make it loud and clear to those who can implement policies on all levels of our government that we do not want more dirty fossil fuels and nuclear power, we want to transition to 100% renewable energy now. Please click here to sign up for a bus. You can put in your zip code, find the bus closest to you and then sign up. If you would like, we are encouraging people who wish to march with United for Action to sign up for the bus leaving at 9:00 am from W. 34th Street and 8th Avenue in Manhattan. This way it will be easier for us to stay together. The march will start at City Hall and end at Independence Hall for a distance of 0.9 mile. Here is a visual map of the walk from City Hall to Independence Hall. There are taxis that circle City Hall area if you feel you can not walk the distance to Independence Hall. You will find taxis idling in front of Philadelphia Loews hotel generally. Philadelphia Loews hotel is located at 1200 Market Street. You may also wish to download the Uber app to ensure you will have a variety of options on that day. Philadelphia can be really hot in the summer. Please bring sunscreen, hat, sunglasses, wear comfortable clothing and walking shoes. Bring your own water bottle, there will be water tanks for filling up but no bottles. Bring food and snacks. Bring signs, posters and banners. It would be fun to march together to see old friends and make new friends and to do something to help transform our nation’s energy policy. The NRC staff will meet with the public to discuss the NRC’s assessment of safety performance at Indian Point Units 2 and 3 reactors for 2015. During the past year, Indian Point facility has been plagued by issues with transformers, cooling systems, and other electrical components. In late April, Entergy, owner of Indian Point, reported more than 25% of the bolts of Unit 2 reactor, which are a key part of the reactor core cooling system, have failed. The deterioration was discovered when Indian Point’s Unit 2 reactor was shut down for routine maintenance and refueling. NRC stated this is the largest number of degraded bolts seen to date at U.S. nuclear reactor. Worst case scenario: The bolts and the plates they hold fail. Cooling water can’t get to the reactor core. The reactor core melts down — just like at Fukushima. This would send a plume of radioactivity out over nearly 20 million people who live within 50 miles of Indian Point. Without knowing what caused the problem, Entergy is rushing to replace the damaged bolts as fast as possible so that Entergy can restart the damaged Unite 2 in June in time to make major profits in the peak summer energy season. But it gets worse. reactor Unit 3, virtually identical to the damaged Unit 2, could also have the same bolt problem. But Entergy has no plan to bring Unit 3 down to inspect its bolts before 2017. If you possibly can, please attend the public meeting to tell NRC to get serious with safety at Indian Point and to assure that damage at the plant does not lead to a catastrophic accident. Please click here for Metro North train schedule from Grand Central to Tarrytown. People who wish to speak at the NRC meeting needs to sign up on one of 3 lists. The lists will be available starting at 6:00 pm outside the Grand Ballroom. Each speaker is limited to 3 minutes. In addition, please click here to sign a petition to tell Senators Schumer and Gillibrand to push the NRC to intervene and protect New York from a nuclear disaster. The carryout bag bill Int 209, passed by New York City Council on May 5th, could be preempted by the New York State legislature. Int 209 will place a 5 cent fee on single-use plastic and paper bags at check outs and goes into effect on October 1, 2016. Mayor de Blasio has announced he will sign the bill. Once the bill goes into effect, we hope to see a dramatic reduction in our city’s use of plastic bags as has been seen in other cities in the country that enacted similar laws have cut plastic bag use by 60% to 90%. The choice is yours. Please remember you will not be charged a fee if you bring your own reusable bag and do not accept a plastic or paper bag from a retailer. NYS Senate bill S7336, which has passed the Senate Committee “establishes a prohibition on the imposition of any tax, fee or local charge on carry out merchandise bags.” This bill is likely to pass the Senate. The companion bill in the State Assembly A9904 is moving very fast in the Assembly as well. This bill passed the Assembly Cities Committee 13-2 and is heading to Ways and Means Committee now. There is a real chance that this preemption bill may pass the state legislature. This is bad policy if the state is able to nullify the city’s initiative and authority to pass local laws. We urgently need your help to take the following actions to make sure this does not happen. Ask him to oppose A9904 and not to bring this bill to a vote on the Assembly floor. ▪ Please call and write your Assembly Member, click here to find your State Assembly Member, and ask your Assembly member to oppose A9904, especially if your Assembly member is on the Ways and Means Committee. Every call and every email matters. We need all your help. The legislative session ends on June 16th. Together we can stop this. We cannot let the plastic bag industry defeat our hard won victory. On December 2, 2015 Governor Cuomo directed the State Department of Public Service Commission (PSC) to design and enact a new Clean Energy Standard (CES) mandating that 50 percent of all electricity consumed in New York State by 2030 result from clean and renewable energy sources. However, Governor Cuomo also directed the State Department of Public Service Commission to develop a process to continue to support the operations of upstate nuclear power plants. This is totally unacceptable. Nuclear energy is NOT clean or carbon-free. While nuclear reactors do not emit carbon dioxide at the point of power generation, the nuclear fuel chain is responsible for carbon emissions during mining, milling, enriching, construction, transportation, and decommissioning. From cradle to grave, nuclear reactors pollute the environment and threaten human health and safety. The radioactive fallout from a nuclear power plant melt down or nuclear waste is life threatening and a public health catastrophe. A series of hearings on CES were held throughout New York State where the public had a chance to speak. If you did not have a chance to testify at a hearing, please click here and Submit Your Comments. It is important to submit your comments because New York State Department of Public Service Commission is developing a program, the Clean Energy Standard, that will determine New York State’s energy sources for decades to come. We need to let governor Cuomo know that we want renewable energy now and not fossil fuel or nuclear energy of the past. All comments are due by June 6, 2016. ▪ Support the proposed mandate that utilities buy 50% of their electricity from renewable energy resources by 2030. The creation of enforceable renewable energy goals is necessary to move New York rapidly toward 100% clean energy system. ▪ Oppose any attempt to subsidize New York’s nuclear plants. Nuclear energy is not clean and should not receive any state or consumer subsidies. All existing nuclear facilities should be phased out. ▪ Nuclear energy is expensive. Mandating nuclear subsidies will require unsustainable increases in electricity costs and will harm low-income customers and upstate businesses. ▪ The Public Service Commission (PSC) must set a policy of not approving any new or expanded gas-fired or coal-fired power plants, whether centralized or distributed. New York must eliminate all support for fossil fuels and nuclear power. ▪ Make a commitment to offshore wind. We need 5,000 megawatts of off-shore wind by 2025, and we want an off-shore wind tier in the Clean Energy Standard to make sure this target will be met. ▪ There should be enforceable energy efficiency targets as part of the policy. Utilities should be held to meeting those energy efficiency goals, just as they will be held to meeting renewable energy targets. ▪ We need to plan for a just transition to a carbon-free and nuclear-free New York. You can find ideas for more talking points from Alliance for a Green Economy for a Detailed Summary and Talking Points and Sierra Club for this list of suggested Talking Points. Last Thursday May 5th, the New York City Council passed the plastic bag bill – reducing the use of carryout bags Int 209 by a vote of 28 to 20. Thank you and congratulations for your support and work in getting this bill passed. Your voices were heard by enough city council members to pass the bill. Your efforts truly made a difference. This bill requires certain retailers to collect a fee of not less than five cents for each carryout bag, plastic or paper, with some exceptions. New Yorkers use about 10 billion plastic disposable bags each year costing the city $12.5 million to haul 91,000 tons of plastic bags. These bags are made from finite fossil fuel resources such as oil and natural gas. Most end up in landfills, trees, sewerage systems, our oceans and other waterways. When the plastics break down, they do not biodegrade. The toxins contained in them are being found in marine animals and thus in our food supply. They are decimating the aquatic ecosystem. Other cities in the country that enacted similar laws cut plastic bag use by 60% to 90%. Once this bill takes effect on October 1, 2016, we hope to see a dramatic reduction in our city’s use of plastic bags. Please remember you will not be charged a fee if you bring your own reusable bag and do not accept a plastic or paper bag from a retailer. It took more than two years to finally bring this bill to a vote. The vote was close since we needed 26 votes to pass the bill. Last Thursday this bill was debated on the city council floor for more than one hour. Council members on both sides of the bill were equally passionate. If your council member voted for Int 209 please call or write to thank your council member for their vote because this was not an easy vote for them. You may Find Your City Council Member here. Now that the bill has passed the city council, Mayor Bill de Blasio still has to sign it into law. Please send an online message to let Mayor de Blasio know that you support this bill and you understand that he has expressed support for this bill as well. Therefore, you want Mayor de Blasio to sign this bill into law as soon as possible. You may not be surprised to learn that the plastic bag industry is not going to give up so easily. As reported by the New York Times, State Senator Simcha Felder recently introduced a bill in the New York State Senate intended to defeat the New York City plastic bag bill. State Senator Simcha Felder’s bill is S7336, which has passed the Senate Committee “establishes a prohibition on the imposition of any tax, fee or local charge on carry out merchandise bags.” The companion bill in the State Assembly is A9904. We need your help to please call your State Senator and State Assembly Member and ask them to oppose S7336 in the Senate and A9904 in the Assembly. We cannot let the plastic bag industry defeat our hard won victory. You may find your State Senator and your State Assembly Member here. While New York State currently banned high-volume horizontal hydraulic fracturing, we still have conventional vertical drilling oil and gas wells in New York State. 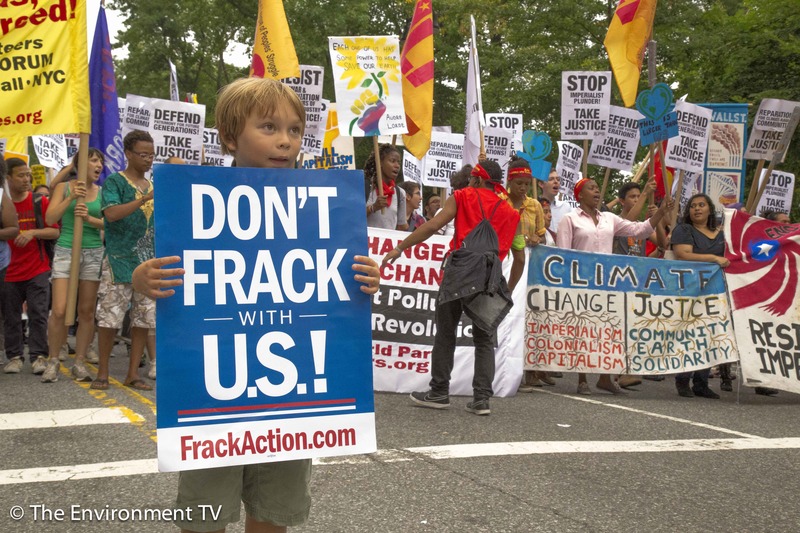 Pennsylvania has been fracking thousands of wells and is projecting to frack thousands more. New York State’s Department of Environmental Conservation (DEC) is permitting solid and liquid treatment facilities to accept Pennsylvania’s waste. DEC is also permitting conventional fracking waste from New York State for road spreading to suppress dust, to stabilize, and to de-ice. Since New York State legislature has not yet enacted any ban fracking waste legislation, New York City needs to pass a ban fracking waste bill to protect the water, air and health of residents of New York City. Passage of Int. 446 will ensure that toxic and radioactive oil and gas brine is never used on New York City roads. On Monday 2/22/16 the New York City Council Committee on Environmental Protection held a very successful hearing on Int 446 in relation to banning the discharge, disposal, sale or use of fracking waste in New York City. The room was packed to standing room only. Many of you gave well researched and thoughtful testimonies in support of this bill with request to amend the bill to make it stronger. Thank you to all those who attended the hearing, gave testimony and sent in testimony even if you could not attend the hearing in person. Now that the hearing has been held, we need to get at least 26 city council members to sponsor Int 446 to get the bill voted out of the Environmental Protection Committee and onto the floor of the City Council for a vote. Right now Int 446 has 11 sponsors. If Int 446 has at least 26 sponsors representing a simple majority, the bill will pass. If Int 446 has 34 sponsors, this represents a veto proof super majority. Please click on Int 446 to find out whether your city council member is a sponsor of this bill. If your city council member is not yet a sponsor, please pick up the phone and call your city council member’s office and ask your city council member to sponsor the bill. You may click here to find your City Council Member. When you call your city council member’s office, please ask to speak to the legislative director or the chief of staff. Please explain that you are a constituent and Int 446 is important to you. You wish to ask your city council member to sign on and sponsor Int 446. Please inform the office that a hearing has been held on Int 446. At the hearing we asked the bill to be amended to make it stronger especially put in penalty provision of at least $25,000 per violation from the current standard fine of $100 as well as expanding the definition of waste to include all relevant forms of oil and natural gas waste, including waste from oil and natural gas storage. In addition, New York City Department of Environmental Protection (DEP) testified at the hearing and supported the bill. If your city council member has already signed on to Int 446 or if you would not mind calling one or more city council members who have not yet signed on to Int 446, below is a suggested list. We need you to make the calls to make sure this bill passes city council and gets signed into law this year before the next winter storm hits New York City. You may call any city council member not on the above list but has not yet signed on to sponsor the bill. Thank you for all that you do. The New York City Council Committee on Environmental Protection will hold a hearing on Int 446 in relation to banning the discharge, disposal, sale or use of fracking waste in New York City and Res 791 in relation to calling upon the General Electric Corporation and the United States Environmental Protection Agency to enter into an agreement that expands the scope of the Hudson River PCBs remediation plan. While New York State currently banned high-volume horizontal hydraulic fracturing, we still have conventional vertical drilling oil and gas wells in New York State. In addition, Pennsylvania has been fracking thousands of wells and is projecting to frack thousands more. New York State’s Department of Environmental Conservation (DEC) is permitting solid and liquid treatment facilities to accept Pennsylvania’s waste. DEC is also permitting conventional fracking waste from New York State for road spreading to suppress dust, to stabilize, and to de-ice. Since New York State legislature has not yet enacted any ban fracking waste legislation, New York City needs to pass a ban fracking waste bill to protect the residents of New York City. The most recent blizzard hitting New York City reminded us that none of us wanted to have toxic brine spread on the city’s roads as road salt which could pollute our water and air and harm the health of people living and working in New York City as well as the health of our pets. Think of all the dog owners walking their dogs in the snow and slush. Passage of Int. 446 will ensure that toxic oil and gas brine is never used on New York City roads. • Definition of waste should not be limited to only waste from natural gas extraction activities. It should include all relevant forms of oil and natural gas waste, including waste from oil and natural gas storage. If you plan to testify, it would be greatly appreciated if you could bring 20 copies of your written testimony to the hearing. Please keep your testimony to about 3 minutes. Here are helpful links for basic talking points on fracking waste from Riverkeeper and from Grassroots Environmental Education. You may click on Int 446 to find out whether your city council member is a sponsor of this bill. If your city council member is not yet a sponsor, please pick up the phone and call your city council member’s office and ask your city council member to sponsor the bill. You may click here to find your City Council Member. Here is a helpful link for basic talking points on General Electric PCBs in Hudson River from Riverkeeper. Passive House has been called the 5th Energy Source, the 5th Fuel, as well as the Fuel Not Used. Buck Moorhead, a Certified Passive House Architect, spoke and answered questions about what makes a building use less energy, be more energy efficient, save money, increase comfort throughout the year, and more, at the UFA monthly meeting. You can view his enlightening presentation here. UFA is very grateful to The Environment TV for filming, editing and posting the video. Many of us attended a press event held at the Long Beach Ice Arena on November 12, 2015 and heard Governor Cuomo announce that he would veto Port Ambrose. 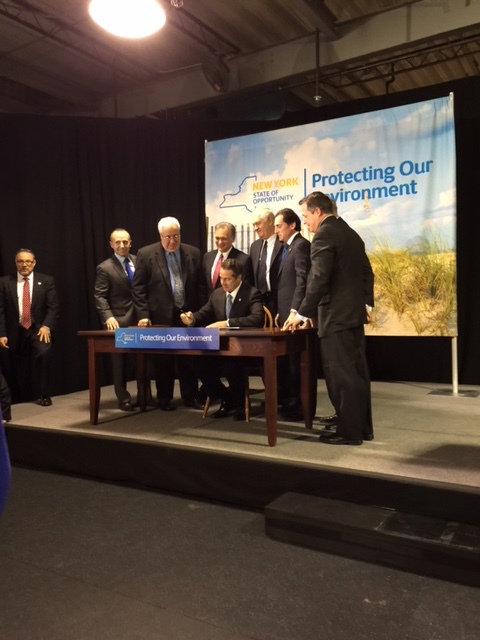 After his speech, Governor Cuomo signed the letter to the Maritime Administration (MARAD). Please click here to read the Governor’s letter. With Governor Cuomo’s veto, Liberty Natural Gas will not be able to move forward with building Port Ambrose, a liquefied natural gas (LNG) port about 17 nautical miles southeast of Jones Beach for the New York/New Jersey Harbor where a proposed wind farm is to be built in the same area.This project would have endangered our beaches, ocean ecology, tourism, fishing industries and shore economy and threatened our health, safety, security, environment and climate. This is a huge victory for a broad coalition of many communities in New York and New Jersey, elected officials, businesses, and thousands of concerned citizens working tirelessly on this issue for the last several years. Now that we stopped Port Ambrose, let’s work together to make the offshore wind farm a reality which will bring carbon free/methane free clean/ renewable energy to New York. Please call Governor Cuomo (518) 474-8390 to thank him for vetoing Port Ambrose and urge him to lead New York State in developing renewable energy by building offshore wind farms off the coast of New York. Please take a moment to celebrate this incredible win. Thank you very much for caring and staying engaged. This shows once again that we can change the world for the better when we all get involved and work together. This is our last chance to stop Port Ambrose. The Maritime Administration (MARAD) and U.S. Coast Guard (USCG) recently issued the Final Environmental Impact Statement (FEIS) on Port Ambrose. This week there are four public hearings held on the FEIS. Port Ambrose is a liquefied natural gas (LNG) port that has been proposed to be built by Liberty Natural Gas about 17 nautical miles southeast of Jones Beach for the New York/New Jersey Harbor where a proposed wind farm is to be built in the same area. This project endangers our beaches, ocean ecology, tourism, fishing industries and shore economy and threatens our health, safety, security, environment and climate. 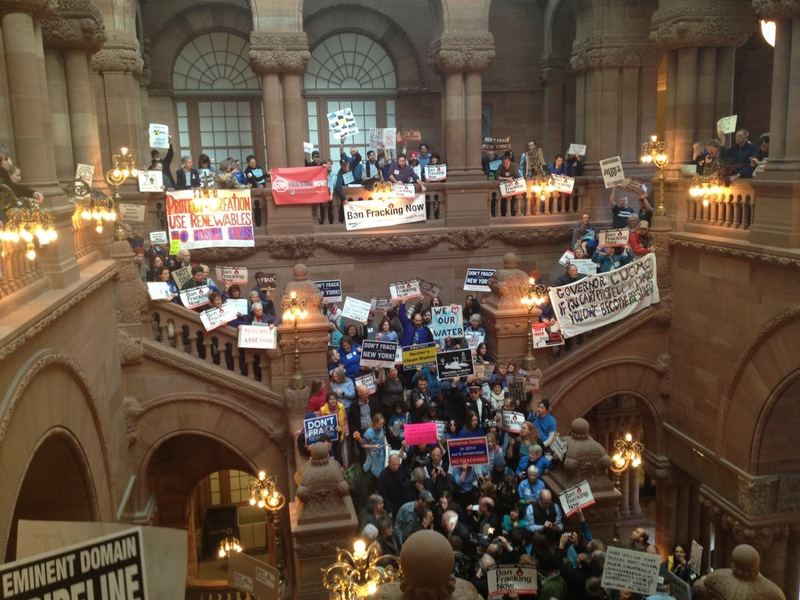 On Monday November 2, 2015, hundreds of activists packed the hearing room at Long Beach Hotel and unequivocally told MARAD to reject the application of Liberty Natural Gas and call on Governor Cuomo to veto Port Ambrose. There was another hearing at the Long Beach Hotel on Tuesday November 3. On November 4 and 5 there will be two hearings at Sheraton Eatontown Hotel, 6 Industrial Way East, Eatontown, NJ 07724. All hearings will be held from 6:00 pm to 10:00 pm. Whether you are able to attend and speak at one of the hearings or not, if you wish, we still have until close of business Monday November, 30, 2015 to submit written comments on FEIS. Written comments can be submitted electronically to the Federal Docket Management Facility by clicking hereComment Online. Or, send by mail to Department of Transportation, Docket Management Facility, West Building, Ground Floor, Room W12–140, 1200 New Jersey Avenue SE, Washington, DC 20590–0001. All written submissions should include reference to Docket number USCG–2013–0363. Here are suggested talking points specific to the FEIS which are also posted on the Clean Ocean Action website. Within 45 days following the final hearing, on or prior to December 21, 2015, Governor Cuomo of New York or Governor Christie of New Jersey must exercise their authority to veto Port Ambrose. If both of them remain silent, they would have been deemed to have approved the project. The time for us to act is now! Please pick up the phone and call Governor Cuomo (518) 474-8390 and urge him to veto Port Ambrose and stop building fossil fuel infrastructure for the health and security of New Yorkers. You may also wish to call Governor Christie (609) 292-6000. Please call as often as you can. Let’s flood the governors’ offices with phone calls. When: Friday 10/30/15. Movie starts at 6:30 pm. Doors Open at 6:00 pm. Event ends by 9:00. Admission is free. We would appreciate any donation amount at the door, which will go to the Rutgers Presbyterian Church for their good works and their generous support of our movement. Please join us in screening of “Bag It”, a documentary film about single-use, carry-out plastic bags. These bags are made from finite fossil fuel resources such as oil and natural gas. The bags are usually given out for free by retailers and are generally used for a very brief time. Ultimately, most of them end up in landfills, trees, sewerage systems, and most disturbingly, in our oceans and other waterways. The toxins contained in them are being found in marine animals and thus in our food supply. They are decimating the aquatic ecosystem. Following the 79-minute film, Jennie Romer will lead a Q&A session. Ms. Romer is a national expert on plastic bag laws (see her website). Int 209 is a bill which has been introduced in the NYC Council to encourage reusable bags. The bill is being spearheaded by Council Members Lander and Chin and is currently before the NYC Council. It is also awaiting an answer from the Mayor on whether or not he supports it. Come hear from Jennie what lessons have been learned from other cities’ efforts and how those lessons were incorporated into the proposed law for NYC. You’ll also learn more about the BagItNYC coalition and their work to help encourage Mayor de Blasio and council members who have not yet signed on to support the bill. Tim Judson of the Nuclear Information and Research Service NIRS explains the need not to renew but to close down Indian Point, an aging nuclear plant 20 miles from New York City. The Nuclear Regulatory Commission is apparently about to approve the renewal of the operating license but its 5 regulators were chosen by the nuclear industry! The plant is unsafe in many ways. The steel of the reactor and housing has become brittle and seriously weakened from years of exposure to radiation but the owner, Entergy, is insisting on a delay of 10 years to examine the steel. If the plant explodes like Fukushima it would make all of New York City uninhabitable and 2/3rd of New York State. July 18, 2015 video by Joe Friendly. Paul Blanch, Registered Nuclear Engineer, 3 Mile Island Expert Witness, discussing the poor risk assessment of Indian Point staff, with crude calculations provided to the NRC revealed in a FOIA request reluctantly granted. He points to the risks of the proposed AIM pipeline. He points out the NRC has become a captive of the nuclear power industry serving their interests instead of the public’s and not properly analyzing the risks involved in the pipeline or nuclear power plant renewal. July 18, 2015 video by Joe Friendly. sponsored by SDIPN, SAPE, IPSEC, WESPAC, UFA, 350NYC, NYSEC, NYC Friends of Clearwater, and Food and Water Watch. July 18, 2015 video by Joe Friendly. On June 29, 2015 the New York State Department of Environmental Conservation (DEC) issued its Findings Statement and has chosen to prohibit high-volume hydraulic fracturing statewide. After almost seven years of exhaustive study and review, DEC found “no feasible or prudent alternatives that would adequately avoid or minimize adverse environmental impacts and that address the scientific uncertainties and risks to public health from this activity.” Consequently DEC approved “the No-Action alternative [which] will achieve the appropriate balance between the protection of the environment and the need to accommodate social and economic considerations.” With the publication of this Findings Statement, fracking is officially banned in New York State. This is an amazing moment for all of us who worked tirelessly together for many years to ban fracking. Thank you for everything you’ve done and for being part of this massive movement which saved New York’s pristine water and prevented our cities, towns and countryside becoming an industrial site for extreme extraction of natural gas. Let’s take a moment to celebrate this incredible victory. We know this is only the first step. We’ve got a lot more work to do to break our addiction to fossil fuel and nuclear power and to move to a truly renewable and sustainable future. When you have a moment, please pick up the phone to call Governor Cuomo at 518-474-8390 and thank him for banning fracking in New York State. Remind him to veto Port Ambrose, stop the expansion of natural gas pipelines, compressor stations and all fossil fuel infrastructure, shut down Indian Point and set policies and priorities to lead NY State on the path to 100% renewable energy. Thanks to Owen Crowley for making these videos of the Friday May 8th event at Rutgers Presbyterian Church. Port Ambrose is a liquefied natural gas (LNG) port that has been proposed to be built by Liberty Natural Gas about 17 nautical miles southeast of Jones Beach for the New York/New Jersey Harbor where a proposed wind farm is to be built in the same area. 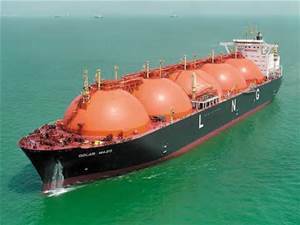 LNG is natural gas that has been super-chilled to -260 degrees; turning it into a liquid that is 1/600th the original volume of gas so large volumes can be shipped overseas in LNG tankers which are as long as the Empire State Building is tall. This project threatens our health, safety, security, environment and climate. * Endanger our beaches, ocean ecology, tourism, fishing industries and shore economy. * Increase our reliance on natural gas, a methane-emitting fossil fuel which is 86 times more effective than carbon dioxide at trapping heat in our atmosphere over a 20-year period contributing significantly to climate change and put pressure to frack for more natural gas across the Northeast region. * Present a potential terrorist target. Any explosion or fire from an LNG facility in the New York harbor would be catastrophic. * Interfere with the development of a wind farm providing clean renewable energy proposed for the same area. Governor Cuomo and Governor Christie have the authority to veto this project. It’s up to us to make sure they both do the right thing and protect our public health. NYC Council Member Donovan Richards, Chairman of the NYC Council Environmental Protection Committee, introduced Resolution 549 on 1/22/15 opposing Port Ambrose and calling on Governor Cuomo to veto Port Ambrose. After months of calling, writing and meeting various council members by the grassroots groups, this resolution was brought to the City Council for a vote on 5/14/15 and passed unanimously. There was no opposing or abstaining votes. This resolution had 32 sponsors as it headed for a vote in the City Council. This result is a testament to all your hard work. It would not have happened without all your help and effort. Thank you. Our target remains to be Governor Cuomo and Governor Christie since they are the only ones who can stop this project by exercising their authority to veto Port Ambrose. We need you to continue to call Governor Cuomo and Governor Christie, as often as you can, and tell them to veto Port Ambrose. We just need one of the Governors to exercise his veto power. If they remain silent, then it is deemed that they have given their approval. When you call Governor Cuomo please thank him for banning fracking in NY State; then ask him to veto Port Ambrose for the security and health of New Yorkers. When you call Governor Christie please remind him to keep his promise to veto Port Ambrose since he vetoed the same project once before in 2011. At the same NYC Council meeting, Chairman Donovan Richards introduced Res 694 http://legistar.council.nyc.gov/LegislationDetail.aspx?ID=2286840&GUID=0B3FFD2B-EF46-4EA1-951F-185E2E9692F6&Options=ID|Text|&Search=res+694 calling on the U.S. Nuclear Regulatory Commission to shut down Indian Point nuclear power plant which is located approximately 25 miles north of New York City. There are about 20 million people living and working within a 50 mile radius of Indian Point. It’s impossible to evacuate such a large population from this area in the event of an emergency at Indian Point. The original license for Indian Point 2 expired in 2013 and the license for Indian Point 3 expires in 2015. Indian Point should not be relicensed. Please click here to Find Your NYC Council Member and a Full List of NYC Council Members by Boroughs http://council.nyc.gov/html/members/members.shtml and call your Council Member and others to sign on to sponsor Res 694 if they have not yet done so. Because of your relentless effort and fierce commitment to keep fracking from polluting our water, air and harming our health, last Wednesday on December 17, 2014, at a public, livestreamed meeting of Governor Cuomo’s cabinet in Albany, Governor Cuomo acknowledged the overwhelming science that speaks to the inherent dangers of fracking to public health and the environment presented by Joseph Martens, Commissioner of the Department of Environmental Conservation, and Dr. Howard Zucker, Commissioner of the Department of Health, Governor Cuomo banned high volume horizontal fracturing in New York State. This is truly a historic day. Let’s celebrate and savor this incredible moment. We all know that this is only a step in the right direction, albeit a huge step. There is still a lot more work to be done. The only way we achieve our goal is to show up and not give up. Our hard won victory showed us that together we can do this. We will need you to show up as soon as the holidays are over. The deadline for comment on the NYS Department of Environmental Conservation (DEC)’s Revised Proposed Liquefied Natural Gas (LNG) Regulations is December 12, 2014. There is an important change in the revised proposed regulations which is a direct result of our actions. DEC proposed a revision which would establish an upper limit of 70,000 gallons on the amount of LNG that a facility would be permitted to store. According to DEC, this revision is being made in response to approximately 57,000 submittals representing over 131,000 individual comments received during the proposed rule making about a year ago this time. As you can see your comments really matter. DEC must hear from you on its revised proposed LNG rules. While we support the revised capacity limit, other changes are minor which means the proposed revised rules are still flawed and New Yorkers are still exposed to unnecessary risks. You can click on this link to see: How to Comment to DEC. Please take a few minutes to send in your comment today to DEC by sending an email to: derweb@dec.ny.gov and be sure to insert in the subject line: “Comments on Revised Proposed Part 570”. I appreciate that the DEC has revised its proposed regulations for Liquefied Natural Gas (LNG) to prohibit facilities exceeding 70,000 gallons in capacity. This will hopefully prevent disasters like the one which killed 40 workers on Staten Island in 1973. However I remain concerned that the proposed regulations still expose New Yorkers to unnecessary risk. State statute specifically requires that the DEC establish “siting criteria” for new LNG facilities, yet the proposed regulations fail to do this. 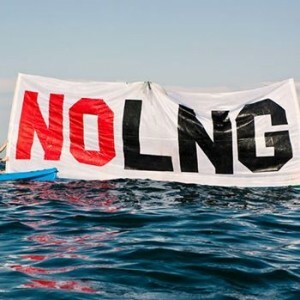 While municipalities may have the ability to zone out facilities, this does not release DEC from its statutory obligation of promulgating rules necessary to protect the public in jurisdictions where LNG is allowed. As presently proposed, the regs defer to industry fire codes that let an ambiguously defined “authority having jurisdiction” waive any requirement therein. Clear rules regarding the safe siting and operation or facilities must be adopted by DEC. The proposed regulations also contain no requirement for the recapture of methane gas, which is commonly vented from storage tanks, lost during LNG transfer, or bled from vehicles prior to refueling. Today, industry codes only require that methane be vented away from facilities to prevent fire or explosion. Furthermore, while the proposed regs mandate that LNG “spills” be reported, there is no requirement whatsoever to report the intentional or accidental venting of methane gas. This is an area in which Governor Cuomo–who professes to be concerned about climate change–could lead the nation. The issue must not be ignored. The proposed regs are deficient in several other ways too. Requirements remain vague on mandatory emergency training and responsibility for the purchase of equipment or personnel. This could leave first responders, who are often local volunteers, unprepared to deal with serous industrial catastrophes. The regulations also lack any solid requirement for financial security to ensure that taxpayers will not be on the hook for abandoned facilities. Furthermore, the regs lack a credible permit structure, guaranteeing no more than a miniscule one-time application fee of $1000 or less. This is completely inadequate to administer a program that requires perpetual monitoring and enforcement. In other deficiencies, an important provision allowing for unannounced inspection was deleted from the most recent revision and the deadline for filing written spill reports was extended from 48 hours to ten days. These are all serious deficiencies indicating that New York remains unprepared to deal with the public safety and climate impacts of LNG. Moreover, please click here: Thirty Days of Fracking Regs website by the incomparable Sandra Steingraber is an excellent source of talking points on DEC LNG rules. The number of submittals made by us will show the strength of our movement and that citizens in New York State care about their health and environment. So please just do it and email your comment to DEC.
Our appreciation goes to Owen Crowley, who single-handedly filmed, edited (incorporating the speakers’ slides), and posted video of UFA’s Tankers & Turbines event. If you missed the event at Rutgers Church, you can view the various parts of the evening by clicking on the photos below. Please watch, share, and spread the word that we must get Governors Christie and Cuomo to veto Liberty Natural Gas’ deepwater port application. 1. Sean Dixon from Clean Ocean Action (see their Port Ambrose fact-sheet here) spoke to the audience about Liberty Natural Gas’ proposed port, how it would bring in tankers as long as the Empire State Building is tall, carrying explosive cargo among the shipping lanes of one of the busiest ports in the country. Read more of this post. Minisink, NY is a beautiful community an hour and a half from NYC. Unfortunately it is directly in the path of the gas industry’s fracked gas infrastructure designs. They have sited a giant compressor station just a mile away from people’s homes. It isn’t fully running yet, but test emissions that the industry conducted already have caused horrible symptoms to many in the community. 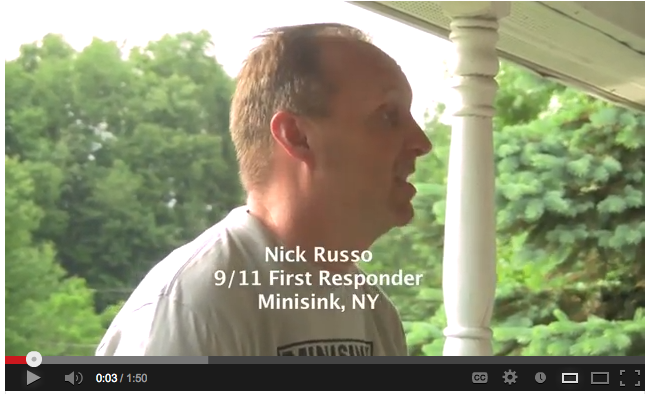 Ironically, many of the towns residents are responders who worked during 9/11 who have respiratory conditions and moved to Minisink for the healthy air and environment. The town is fighting with everything they’ve got to stop the compressor station but they need your help. Continued…. A study presentation by Dr. Simona Perry who did case studies in affected areas that show industrial strength drilling rips communities apart. Essential viewing. These speakers at a Renew New York event talk about alternative heating technologies such as solar and biodiesel. JOIN UNITED FOR ACTION AND BECOME A PART OF THE MOVEMENT. TOGETHER WE ARE MOVING THIS PLANET TOWARDS SANE ENERGY POLICIES AND A BETTER WORLD!